Not many creators can boast the impact and history that Gerry Anderson can. The groundbreaking Thunderbirds had an impact on many children’s lives and as the 50th anniversary of the show approaches, fans could do a lot worse than find out the full story behind it’s creation by watching Filmed in Supermarionation. The documentary is comprehensive. It goes right back to the beginning, to a history which many people wouldn’t be aware of. There will be a few people who smile in recognition and nostalgia but it won’t be until the more famous shows, like Fireball XL5 or Stingray, that people’s interest will peak. The documentaries comprehensive look at the history of the show is well accompanied. Stock footage and behind the scenes clips help tell the story, bringing the history to life and offering a great insight into how difficult creating these shows were and how innovative some of the techniques managed to be. As well as clips come the interviews. Puppeteers, producers, fans and voice artists all contribute, with both positive (mainly) but even some negatives, especially towards the end of the creative team’s tenure. The best and most interesting contributions come from the two most influential people. Gerry Anderson wasn’t alive for the actual filming of the movie but stock-footage and past interviews manage to keep his contribution substantial. Sylvia Anderson is the other coup, having a great impact on the different show’s successes, as well as voicing one of the most iconic characters in Lady Penelope (who is also used to bridge the gap between the different time periods). For any of the fans, of any of the shows, this is a great history. It doesn’t just list through the different shows but gives great background in their development, successes and unfortunately, their failures as well. This could also be the biggest issue with the movies, and any documentary with such a specific focus. If you are not a fan of Gerry Anderson and the Supermarionation technique he developed, then there may be little to enjoy from this documentary. It is interesting regardless and if you are any sort of film or TV fan, it is an important part of screen-history but it’s depth and detail could also be a big negative for anyone with just a passing-interest. 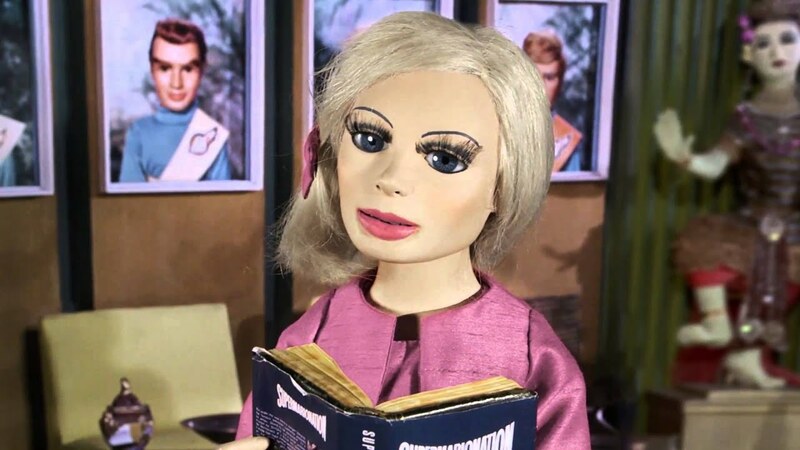 Overall, Filmed in Supermarionation is a Thunderbirds and Gerry Anderson fan’s essential viewing. It covers the history of the studio and the technique in great detail, with stock-footage, behind the scenes clips and some great interviews with the people who made it happen. Whether it is interesting enough for anyone who isn’t a fan is debatable. Oh, wow. I used to watch Thunderbirds as a kid. Where did you see this doc? Is it on Netflix or On Demand? It was on a channel in the UK called Sky Arts. Just found it randomly one day. Not sure where else you’d find it.